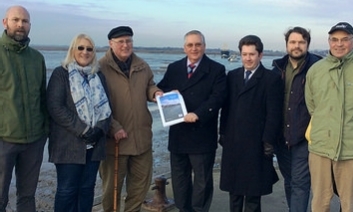 Local people in Leigh-on-Sea have set out radical plans for how they intend to drive growth, jobs and prosperity. Communities Secretary Greg Clark said that Leigh-on-Sea’s work is “proof coastal communities are ready for economic lift off”. He said: “Our Great British Coast has enormous economic potential and we are determined to see it thrive all year round – not just in the summer months. The CCT for Leigh-on-Sea includes representatives of a number of local groups including Southend Borough Council, Leigh-on-Sea Town Council, Leigh Society, local fishermen, Essex Wildlife Trust, Leigh Maritime CIC, Leigh Road Traders and Leigh Port Partnership.